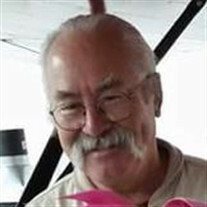 Dr. Robert "Bob" C. Dalzell, Jr.
Dr. Robert “Bob” C. Dalzell Jr., 70, gained his eternal wings Monday, May 30, 2016, doing what he enjoyed most..flying his plane. He was a member of numerous flying clubs and associations. 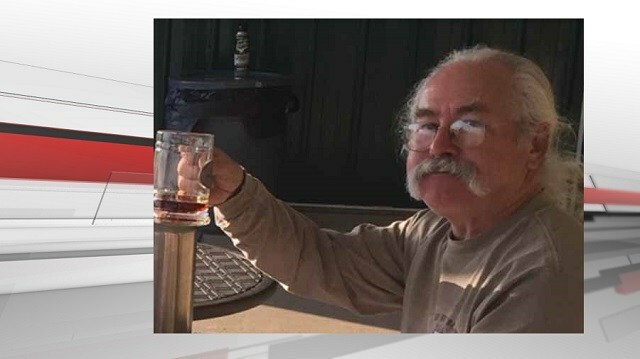 Robert began flying as a student at Kentucky Wesleyan College and his love of feeling one with the sky never stopped growing throughout the years. If he was not at work, you could find him hanging out in the airport hangars, at The Ayer Flying Club or out to eat with his fellow flying brothers. The private pilot, who was exercising sport pilot privileges, departed on a personal flight in his recently purchased experimental, amateur-built airplane, and, when he did not arrive at his intended destination, a search was initiated. The wreckage was spotted 2 days later in a heavily wooded area about 6.7 nautical miles from the departure airport. Examination of the accident site revealed damage to trees consistent with a steep descent to ground impact, with no evidence of any bird remains in the vicinity wreckage area. The airplane sustained extensive thermal damage from a postcrash fire; however, examination of the remaining portions of the airframe, flight controls, engine, and engine accessories revealed no evidence of pre-impact failure or malfunction. The pilot had undergone 4-vessel coronary artery bypass grafting and had a history of hypertension and high cholesterol, which placed him at increased risk for an acute cardiac event such as another heart attack, angina, or an arrhythmia that could have cause symptoms ranging from chest pain and shortness of breath to palpitations and loss of consciousness. However, it could not be determined from the limited information available from the autopsy whether he was impaired or incapacitated at the time of the accident. Therefore, the reason for the steep descent could not be determined based on available evidence. The steep descent to ground impact for reasons that could not be determined based on the available evidence. 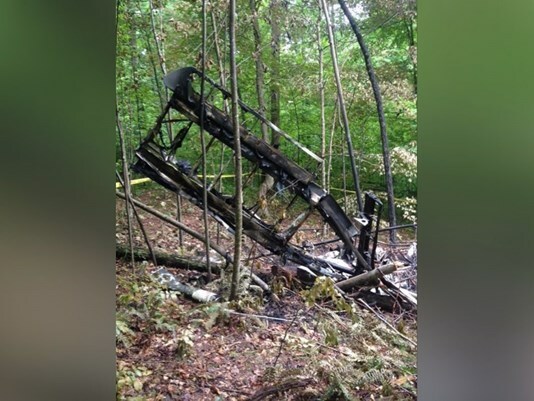 On May 30, 2016, at an unknown time, an experimental amateur-built Storch FI-156 airplane, N429BB, crashed in a wooded area near Fordsville, Kentucky. The private pilot was fatally injured, and the airplane was destroyed by impact and a postcrash fire. The flight was conducted under the provisions of Title 14 Code of Federal Regulations Part 91. Visual meteorological conditions prevailed, and no flight plan was filed for the personal flight. The flight originated about 1133 central daylight time from Rough River State Park Airport (2I3), Falls of Rough, Kentucky. According to another pilot, who was a friend of the accident pilot, earlier on the day of the accident, the accident pilot flew his airplane from Owensboro-Daviess County Airport (OWB), Owensboro, Kentucky, to 2I3 and landed about 0945. The friend flew his airplane to 2I3 and met the accident pilot there. The two pilots ate at a local restaurant, and then they prepared to depart from 2I3 in their airplanes. The friend reported hearing the accident pilot perform an engine run-up before takeoff, and he noted that the magneto drops were normal and that the engine was "running strong." After takeoff, the accident pilot turned to a heading of 315°, and the friend lost sight of the airplane when it was about 1.5 miles away. The friend departed in his airplane and attempted to contact the accident pilot via radio, but he did not receive a reply to any of his transmissions. The friend then proceeded to the Ohio County Airport, Hartford, Kentucky, and landed uneventfully. The pilot's friend indicated that the accident pilot might have intended to fly to a nearby ultralight airstrip before returning to OWB. When the airplane did not arrive at OWB by sunset, the friend contacted law enforcement. A search for the missing airplane was initiated, and the wreckage was located on the afternoon of June 1, 2016, about 6.7 nautical miles west-northwest from 2I3. Review of all recorded radar targets below 10,000 ft mean sea level (msl) in the vicinity of the departure airport and the accident location between 1030 and 1230 revealed no targets that could be associated with the accident flight. According to Federal Aviation Administration (FAA) records, the pilot, age 70, held a private pilot certificate with ratings for airplane single- and multi-engine land, instrument airplane, and glider and a sport endorsement for airplane single-engine sea. His most recent medical certificate was a special issuance third-class medical certificate dated December 22, 1998. This medical certificate required that the pilot use corrective lenses and was valid only for 15 months from the date it was issued. At the time of the accident, the pilot was exercising sport pilot privileges and was not required to hold a medical certificate. During a telephone interview, a friend of the pilot estimated that the pilot's total flight time was about 3,500 hours, and he had flown about 6 hours in the accident airplane. The two-place experimental amateur-built airplane was manufactured in 2012. 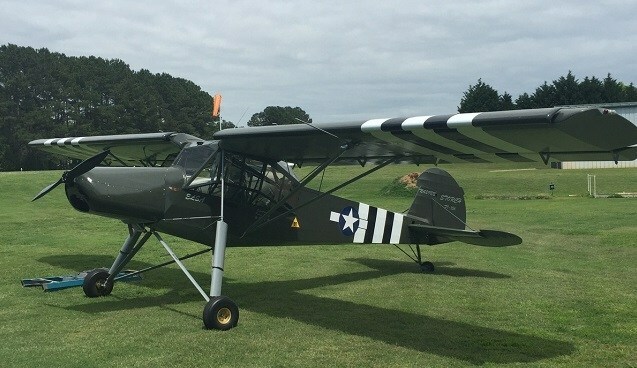 It was powered by a Rotax 912 ULS engine driving a Tennessee Propellers, Inc., 72-48 fixed-pitch propeller. It was equipped with fixed leading-edge slats that spanned nearly the entire length of each wing and manually-operated fowler flaps. The previous owner reported that the airplane's stall speed was 20 mph. Review of the maintenance records indicated a condition inspection was completed on February 15, 2016, at an airplane total time since manufacture of 105.8 hours. The pilot purchased the airplane on May 28, 2016. The mechanic who performed an inspection of the airplane before purchase indicated that there were no unairworthy items found. At the time of the pre-purchase inspection, the airframe and engine total times were 110 and 220 hours, respectively. The 1158 automated surface observation taken at Godman Army Airfield (FTK), Fort Knox, KY, located about 35 nautical miles from the accident site, reported wind from 350° at 6 knots, 10 statute miles visibility, and clear skies. The temperature and dew point were 28°C and 16°C, respectively, and the altimeter setting was 30.04 inches of mercury. The airplane crashed in a heavily wooded area. A postcrash fire consumed most of the airplane and damaged the immediate surrounding area. Treetop damage was not detected outside of the immediate impact area, and evidence of bird remains was not noted during examination of the accident site and the surrounding area. Examination of the airplane revealed that it was resting in an upright position, with the engine detached and laying about 3 to 4 ft to the left of the firewall. All components necessary to sustain flight remained attached or were found near the main wreckage. Extensive thermal damage precluded determination of switch positions and instrument readings. Determination of pre-impact engine control positions was not possible due to the separation of the engine during the impact sequence. The flaps were found retracted. Examination of the flight controls for roll, pitch, and yaw revealed no evidence of preimpact failure or malfunction; the pitch trim was set to mid-travel. The engine was recovered for further examination by a representative of the engine manufacturer with Federal Aviation Administration oversight. Due to the extensive heat damage to the engine, rotation of the crankshaft could not be performed, and the flywheel could not be removed. A limited examination of the power section was performed, and no anomalies were noted. The fuel, ignition, and lubrication system components sustained heat damage. There was no evidence of preimpact failure or malfunction of these systems. The majority of the wood propeller was consumed by fire, leaving about 10% of the hub area. The propeller mounting hardware was in-place and secured. The Office of the Chief Medical Examiner, Louisville, Kentucky, performed an autopsy of the pilot. According to the autopsy report, the cause of death was multiple blunt force injuries. The report also noted a large transmural scar of the anterolateral left ventricle wall, and that ischemic/atherosclerotic coronary artery disease was a significant factor contributing to the pilot's death. The report referenced medical records that indicated the pilot had undergone 4-vessel coronary artery bypass grafting and had a history of hypertension and high cholesterol. The examination of the body for natural disease was limited by the extent of injury. The FAA Bioaeronautical Sciences Research Laboratory, Oklahoma City, Oklahoma, performed toxicological testing of specimens from the pilot. The toxicology report indicated that no ethanol was detected in the submitted muscle and brain specimens, and no tested drugs were detected in the submitted muscle specimen. On May 30, 2016, at an unknown time, an experimental amateur-built Storch FI-156 airplane, N429BB, crashed in a wooded area near Fordsville, Kentucky. The private pilot, the sole occupant was fatally injured and the airplane was destroyed by impact and a postcrash fire. The personal flight was conducted under the provisions of 14 Code of Federal Regulations (CFR) as a Part 91. Visual meteorological conditions prevailed on that day, and no flight plan was filed for the flight. The flight originated about 1130 central daylight time, from Rough River State Park Airport (2I3), Falls of Rough, Kentucky. According to a friend of the accident pilot, since purchasing the airplane 2 days prior, the pilot flew it on several flights, including a flight earlier in the day from Owensboro-Daviess County Airport (OWB), Owensboro, Kentucky to 2I3, landing there about 0945. After landing, he and the pilot ate at a local restaurant and then prepared to depart from 2I3. The friend reported hearing an engine run-up before takeoff, and noted that the magneto drops were normal and the engine was "running strong." After takeoff he watched as the pilot turned to a heading of 315 degrees (normal) and lost sight of the airplane when it was about 1.5 miles away. The pilot's friend indicated that the pilot might have intended to fly to a nearby ultralight airstrip, or return to OWB. The pilot's friend then departed 2I3 in his airplane, and attempted to contact the pilot via radio, but the pilot did not reply to any of his transmissions. He proceeded to the Ohio County Airport (JQD), Hartford, Kentucky and landed uneventfully. He later contacted law enforcement because the pilot had not returned to OWB, and met with law enforcement later that evening. The following day he performed an air search himself but did not locate the wreckage. Personnel of the Civil Air Patrol were also involved in a search for the missing airplane; the wreckage was located on the afternoon of June 1st.